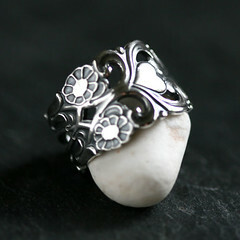 Welcome to my studio blog and the world of swirly, intricate designs. Here I will write about new designs, and share tips and ideas about jewelry making. This is what I´m up to now. I´m giving silversmithing a serious try and attend classes three days a weed since August. Since then I´ve been slaughtering the silver teaspoons I got from my grandmother 20 years ago, never used. Love the spoon, love your jewellerys! …jewellery made up of pearls always has a vital role even in ancient civilizations till yet. denver escorts Have a great day! This is a good article. Thank you. Vad har hänt med www.suzyq.se? www.suzyq.se ligger på is ett tag. Nu säljer jag mina egna smycken både via www.suzyqjewelry.etsy.com och mitt nya projekt www.mioora.se . Mioora säljer även smycken från Comfort Station, Maya Design med flera. Välkommen!